The managements of four newspapers on Friday dissociated themselves from the 12 media houses said to have collected N10 million each from the office of the National Security Adviser, NSA, Sambo Dasuki, in March this year. The four newspapers are African Newspapers of Nigeria (ANN) Plc, publishers of the Tribune titles; Peoples Media Limited, publishers of Peoples Daily; Daily Telegraph Publishing Company Limited, publishers of New Telegraph, Saturday Telegraph and Sunday Telegraph, and Independent Newspapers Limited, publishers of Daily Independent newspapers. The publisher of ThisDay Newspapers, Nduka Obaigbena, had claimed in his response to a letter of invitation from the Economic and Financial Crimes Commission, that he received N120 million in March 2015 on behalf of the Newspaper Proprietors Association of Nigeria and the 12 newspapers. The newspapers had demanded compensation for the “unlawful seizure and stoppage of circulation of their newspapers by armed soldiers in Abuja and several cities” during the Goodluck Jonathan administration. But in a statement Friday, the management of Tribune said at no time was any money received by the company from Mr. Obaigbena as compensation for attacks on its operations and personnel by soldiers in June 2014. 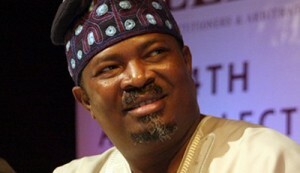 The Managing Director/Editor-in-Chief of the media organisation, Edward Dickson, explained that although it had filed claims like all other newspapers as requested by the NPAN, no payment was received, contrary to claims by Mr. Obaigbena. “Our attention has been drawn to claims by the Publisher of Thisday newspapers, who is also the President of the Newspapers Proprietors Association of Nigeria (NPAN), Mr. Nduka Obaigbena, that a sum of N10 million was paid to our company through NPAN by the Office of the National Security Adviser (ONSA) as compensation for the disruption of our circulation operations, seizure of our newspapers and damage to our property by soldiers in June 2014,” Mr Dickson said. The management of New Telegraph newspapers also denied receiving any money from Mr. Obaigbena, despite repeated demands for same from NPAN. “It is on record that following the decision of NPAN to seek compensation from the Federal Government in the aftermath of the seizure of editions of newspapers by the military, New Telegraph computed its losses, which were passed to the association. However, since then, the company has heard nothing from the association on the matter,” the Managing Director/ Editor-in-Chief of the newspaper, Funke Egbemode, said in a statement. Mrs. Egbemode, who claimed the amount reportedly being disbursed by NPAN was N9 million and not N10 million, said the management of Daily Telegraph Publishing Company Limited had written three letters to NPAN demanding its share of the compensation. She expressed regrets that not even a kobo has so far been received from NPAN by the company. “The first letter was written on May 22, 2015, followed by another on July 16, 2015, with a reminder written on November 19, 2015,” Mrs. Egbemode explained. She described as “nothing, but sheer falsehood” claims by Mr. Obaigbena that he received N120 million from the former NSA on behalf of the NPAN on behalf of 12 newspapers, including New Telegraph Newspapers. The Chief Operating Officer of the Peoples Daily newspaper, Ali Ali, also said the newspaper never received any such money under whatever guise. “One of the revelations on the current inquisition of the tenure of the former National Security Adviser, Col. Sambo Dasuki (rtd) is that this newspaper, among several other national dailies, received the sum of N10million from the office of the former NSA through Nduka Obaigbena, the President of Newspapers Proprietors Association of Nigeria, NPAN. “This is news to us. At no time was such money made available to us in whatever guise. We wish to state clearly that it is false and therefore, wish to completely distance this medium from this revelation. The Chief Executive Officer, Independent Newspapers Limited, publishers of Daily Independent newspapers, Ted Iwere, also denied receiving payment.